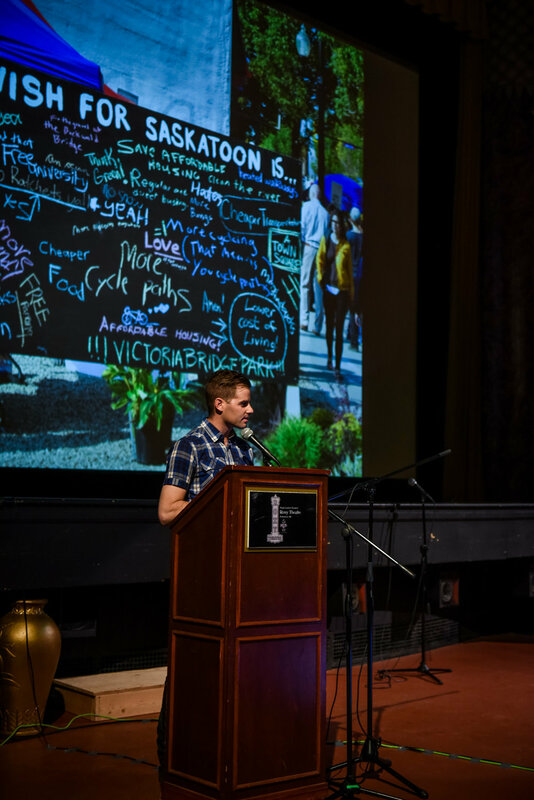 In its October 2014 issue, The Walrus magazine brought national attention to the rapid growth of a humble Saskatoon neighbourhood, citing a critical point in our development: "Riversdale is more than a neighbourhood that is gentrifying. 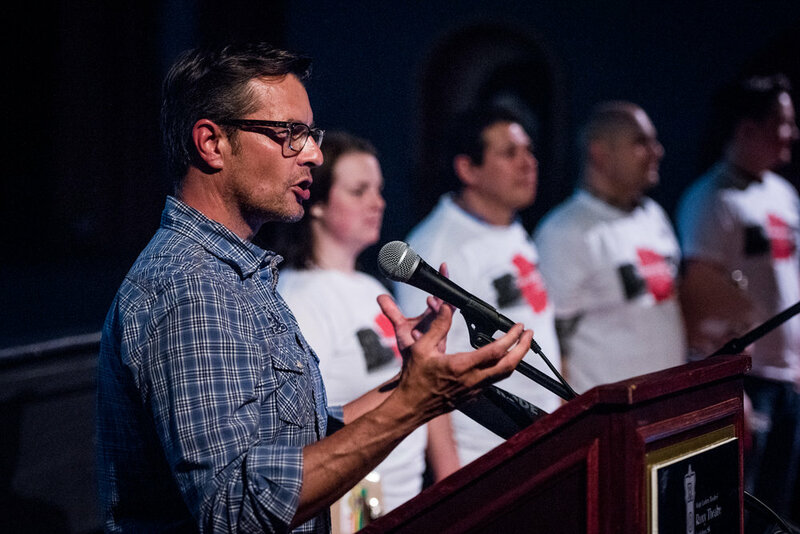 It is a chance at healing an old wound. 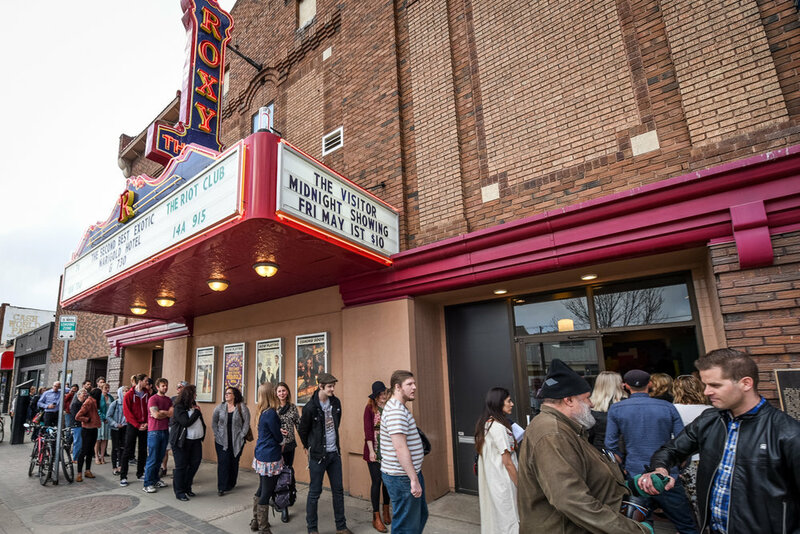 It is a knife-edge on which a city stands” (Allan Casey). 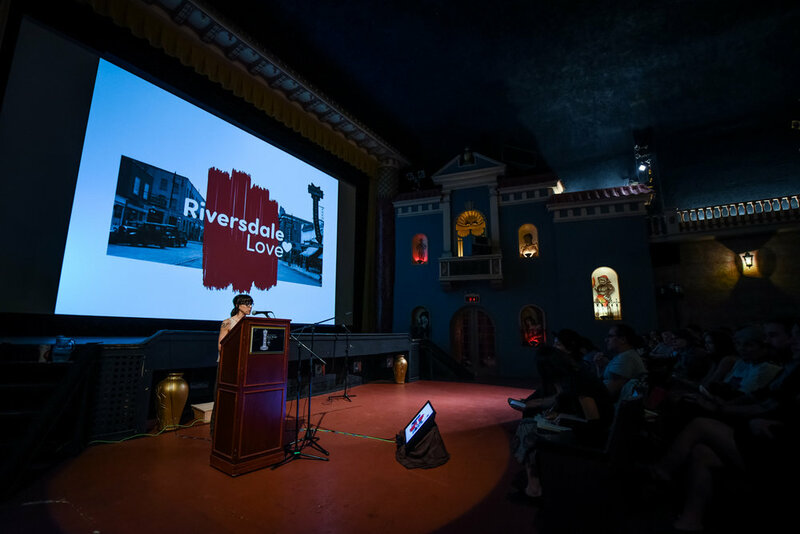 Partly in response to that article, we organized the launch of Riversdale Love with an event at the historic Roxy Theatre. 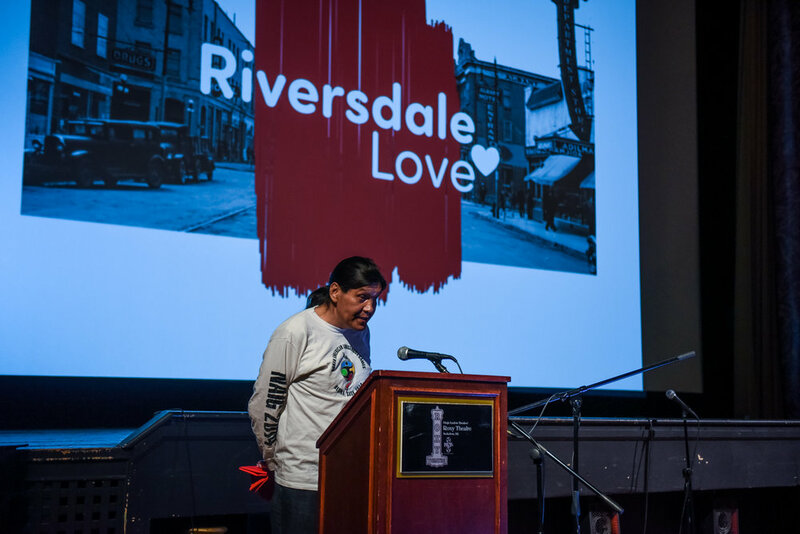 We invited 12 speakers from diverse backgrounds to respond to the question, "What is your vision for the future of Riversdale?" 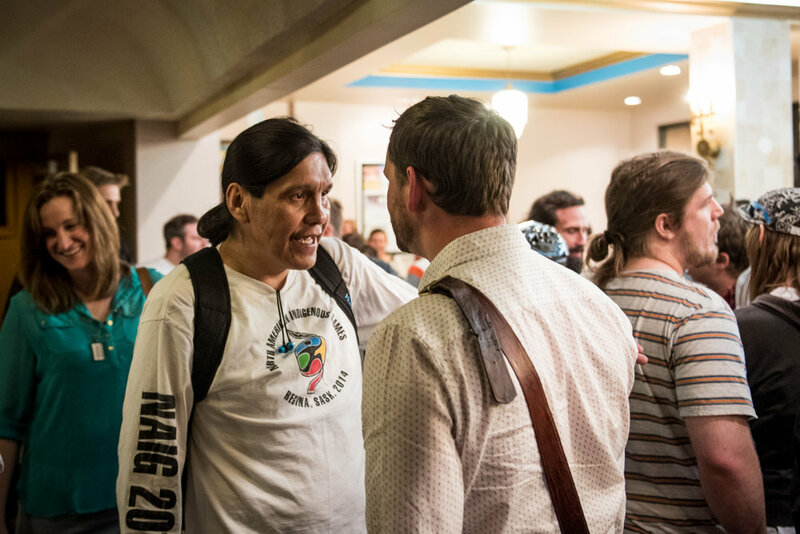 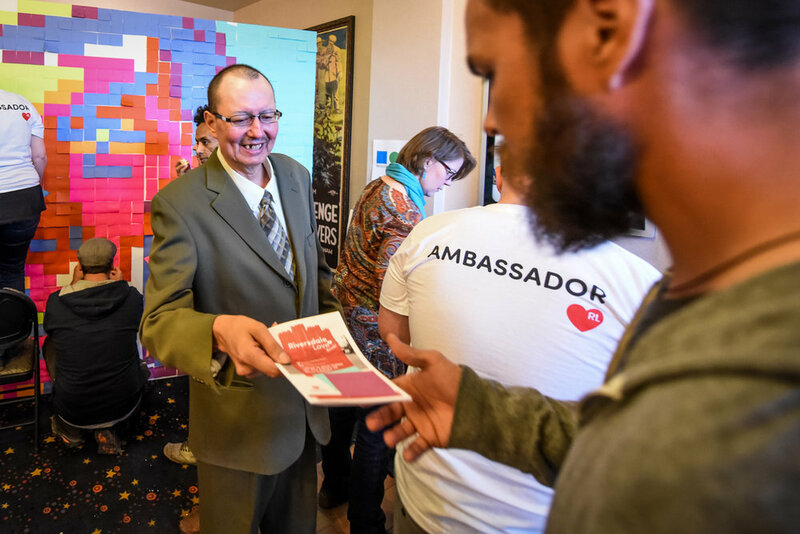 Rene Prefontaine captured some great images from the event, which brought together the community and instigated some great conversations.